You may receive updates from Concerned Scholars, Scientists, and Researchers, the creator of this petition. As concerned scientists, scholars, and researchers, we condemn the use of technology for inhumane surveillance, detention, deportation, and border militarization. 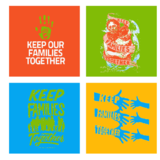 We support Microsoft workers who have signed a letter to demand that Microsoft drop its contract with ICE. As concerned scientists, scholars, and researchers, we condemn the use of technology for inhumane surveillance, detention, deportation, and border militarization. We are appalled at the Trump administration’s ‘zero tolerance’ policy and the dramatic increase in family separation and child detention. High-profile political leaders from across the aisle have condemned this policy; Pope Francis denounced it as "immoral;" and the President of the American Academy of Pediatrics has characterized the policy as "child abuse.” Nor do we support the administration’s recent proposal to ‘solve’ the problem by placing entire families in detention together for extended periods of time. In response, more than 300 Microsoft workers have signed a letter to Satya Nadella requesting that Microsoft cancel all its contracts with ICE. We stand in support of these workers and their demands. We also recognize that “the cloud” is not simply general purpose infrastructure; clouds are complex systems optimized for some needs and not others. During the recent mobilization of Google workers against Project Maven, when Google claimed that the military could still carry out the work without Google’s help, Google workers knew better. In fact, Google had even gone so far as to design custom microprocessors — TPUs, or Tensor Processing Units — to speed up ‘inference’ to keep up with real time image, sound, and video flows. So the cloud is not just a neutral, free and open resource — describing it this way is technologically inaccurate and ethically irresponsible. As clouds and algorithms are increasingly used by government agencies, scholars have shown how those same algorithms are used to make bureaucratic judgments without oversight, audit, or appeal. Microsoft’s, Google's, and Amazon’s rush to provide cloud translation software for ICE demonstrates how society's computing skills and resources have been increasingly directed towards technologies of surveillance, exclusion, and control, rather than towards the common good. We call on Microsoft, and all tech firms with ICE contracts, to drop those contracts immediately. Anything short of cancellation constitutes compliance with inhumane, abusive practices. We call on other tech firms, big and small, to publicly acknowledge their contracts with U.S. government agencies, to drop contracts with ICE, and to take an ethical stance on the technologies they develop, just as Google did in dropping its AI contract with the DoD. Moral and political opposition from tech industry workers and researchers will help end human rights abuses at the border and throughout the immigration system. We also recognize the links between border militarization, overpolicing, mass incarceration, and war, and support not only Microsoft workers in their call to drop ICE contracts, but also Google workers who forced their company to drop DoD contracts and Amazon workers who demand that the company boot privatized spy agency Palantir. Furthermore, we pledge to never work on technologies that are used for the detention and deportation system; we urge other researchers and scientists to publicly state that they too will never work on technologies used to support this system; and we promise to support the growing movement for ethical technology in our research, in our classrooms, and in the public sphere. Mariana	Arcaya, Assistant Professor, Massachusetts Institute of Technology. Jonathan King, Prof. of Molecular Biology, M.I.T. Michael Middleton, Owner, Texas Star Net, LLC. Pasquale 2015 The Black Box Society; Eubanks 2018 Automating Inequality; Noble 2018 Algorithms of Oppression. Hernandez, Kelly Lytle, Khalil Gibran Muhammad, and Heather Ann Thompson. "Introduction: constructing the carceral state." The Journal of American History 102, no. 1 (2015): 18-24.